Francesca Maria Chamberlayne was the daughter of Thomas Chamberlayne and Amelia Onslow. She married Cecil Ralph Howard, 6th Earl of Wicklow, son of Rev. Hon. Francis Howard and Sarah Hamilton, on 23 March 1876. She died on 30 December 1877. Cecil Ralph Howard, 6th Earl of Wicklow was born on 26 April 1842. He was the son of Rev. Hon. Francis Howard and Sarah Hamilton. He married, firstly, Francesca Maria Chamberlayne, daughter of Thomas Chamberlayne and Amelia Onslow, on 23 March 1876. He married, secondly, Fanny Catherine Wingfield, daughter of Richard Robert Wingfield and Fanny Castle, on 2 June 1880.1 He died on 24 July 1891 at age 49. He gained the title of 6th Earl of Wicklow. Richard Verney, 13th Baron Willoughby de Broke was the son of George Verney, 12th Baron Willoughby de Broke and Margaret Heath. He died in 1752. He gained the title of 13th Baron Willoughby de Broke. John Verney was the son of George Verney, 12th Baron Willoughby de Broke and Margaret Heath. 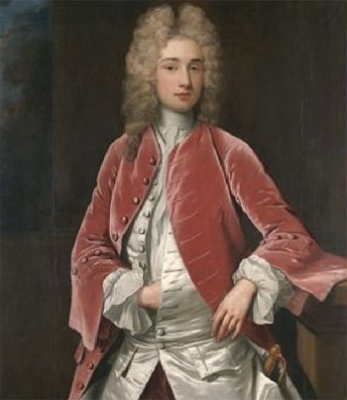 John Peyto Verney, 14th Baron Willoughby de Broke was the son of John Verney and Abigail Harley. He married Lady Louisa North, daughter of Francis North, 1st Earl of Guilford and Elizabeth Kaye, on 8 October 1761. He died on 15 February 1816. He gained the title of 14th Baron Willoughby de Broke. Abigail Harley was the daughter of Edward Harley.